The information below is relevant to Victoria state schools. Independent and Catholic schools base their terms on the state school dates but their term dates can vary from school to school. You should check directly with the relevant school to find out the correct term date information. Note that the dates below represent official term dates and this is often the date that teachers attend the school, however many schools elect to start the students back on slightly different dates. For instance, it is common for the first day back at school to be a day later for students than what is shown in the table below. It is also common for students to finish term 4 in the days prior to the final Friday. 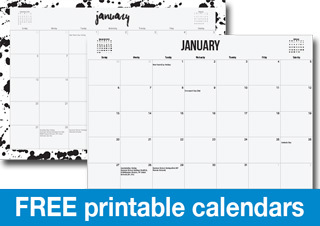 Click here to download free printable calendars with school holiday and public holiday dates for all Australian states.